Ask Cerise About Speaking At An Event. 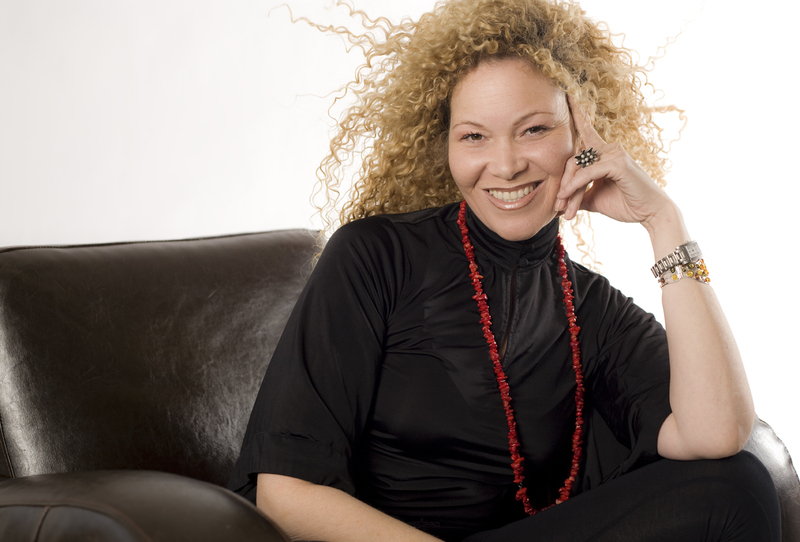 Radio On-Air personality with Toronto’s FLOW 935fm as their resident Life Coach on the morning show. GOOD NEWS TORONTO Newspaper and online. SUN TV NEWS- Appeared on the morning news show with Alex Pierson on her birthday. The link below is a video of the appearance. There are many ways to gain karma, in short, just do something, anything, because every action has a karmic reaction. WANT TO UNLOCK YOUR POSITIVE KARMA? HERE’S THE MANUAL ON HOW. It's a book for men, but women will totally relate to it as well. 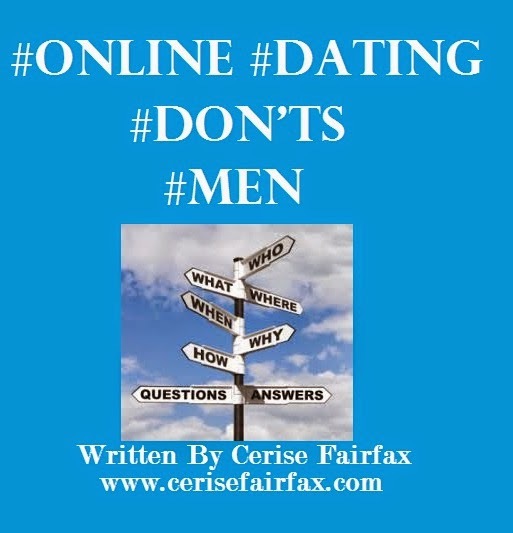 Online dating don'ts is an ebook manual specifically geared towards men. Most men who are brave enough to venture into the world of online dating make simple mistakes that usually create very serious road blocks in finding a mate. they make their profile, upload their pictures, fill out the many questions, contact their desired mate, but they are unsuccessful at landing a date. Why is this? Well some men tend to think the problem is them and most times that is not the case at all. In most cases the block can be attributed to their profile presentation. In this Ebook manual you will find some common mistakes that are very easily to correct just by altering you profile. To order your copy you can visit http://www.cerisefairfax.com and pay via credit card directly from the site or you can choose to send an email money transfer to cerisefairfax@gmail.com. You can choose to download it directly from the site, or have a copy sent directly to your address within 5 business days. URBAN PROVERBS was written especially for the individual who believes in maturing the mind, growing the spirit and balancing their energy. URBAN PROVERBS is a self-help, self-esteem, self-defence book. It is designed to assist you during challenging chaos and troubling times. 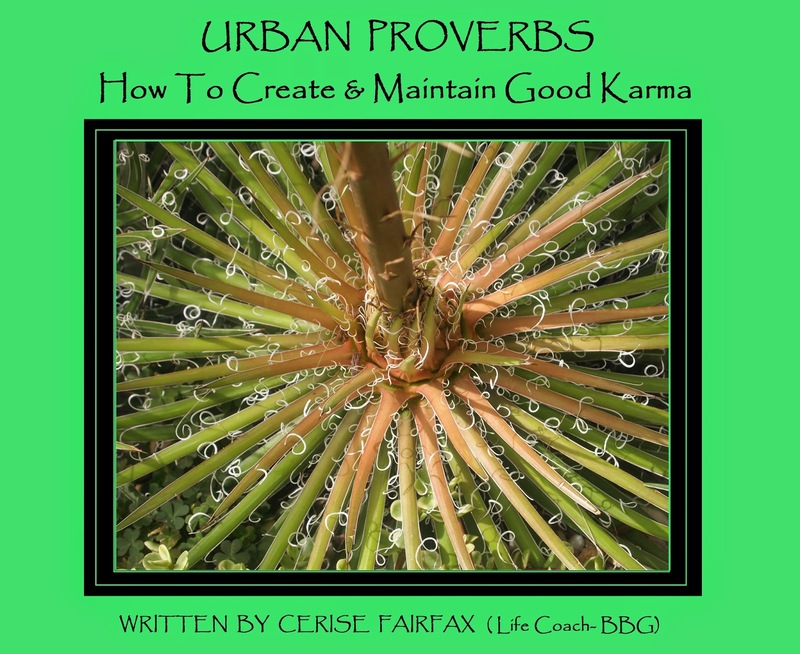 URBAN PROVERBS is uniquely designed as a quick life coaching guide. The book has no chapters. It was designed that way in order to offer the reader life coaching tips on every page of the book. So there is chronological order, just open and read. The idea is for the reader to open the book on any page and read the short insightful quote that appeals to them in their current situation. Each quote helps the reader deal with any situation so they change their circumstances for the best. v Urban Proverbs is a simple guide on how to deal with life during challenging times. v The pressures of today’s world cause most individuals to be reactive. Many people are explosive and find it hard to maintain a levelled head during tumultuous times. They blow their stack and then get whacked… with bad karma. v On the other hand, some people are talented at remaining cool during hot times. They are great at biting their tongue and being careful not to say something they will regret, and that is great for the other person, but not for the person holding everything in, because for them it often creates anxiety and future health concerns. v Urban Proverbs helps both personality types; those who yell and also those who hold it in. v The Urban Proverbs help to re-train the mind by using words of ancient wisdom with a modern day approach, and the quotes become mental coaching tips on how to tame terrible thoughts that lead to bad feelings and regretful actions. v Urban Proverbs will inspire one to remain calm and cool, emotionally and spiritually, when they are dealing with tough situations, rough characters and challenging times. Urban Proverbs is a book for the individual who prefers to deal with life’s unpredictable challenges without losing their self in the struggle but who desires to find their true self in the victory. 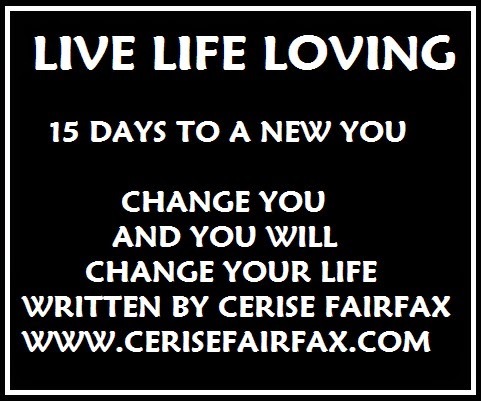 Cerise is an Intuitive Personal Life Coach, Writer and Public Speaker. 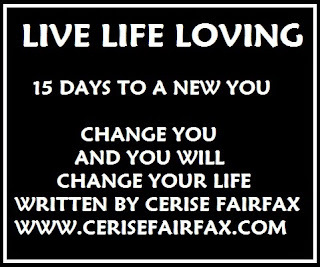 From Newspapers to Radio to TV and the internet, Cerise has shared her insight, guidance and experience with people who have learned to dig deep into the depths of their true nature and plant the seeds that are essential to manifest and maintain a life of abundance with health, wealth, spirit, love and beauty! Everyone needs a little guidance or advice sometime in their life. Cerise has been helping individuals via in person and the internet for over two decades! MUCH MUSIC Much On Demand, SUN NEWS TV, Infomercial for ROMI Beauty Products.